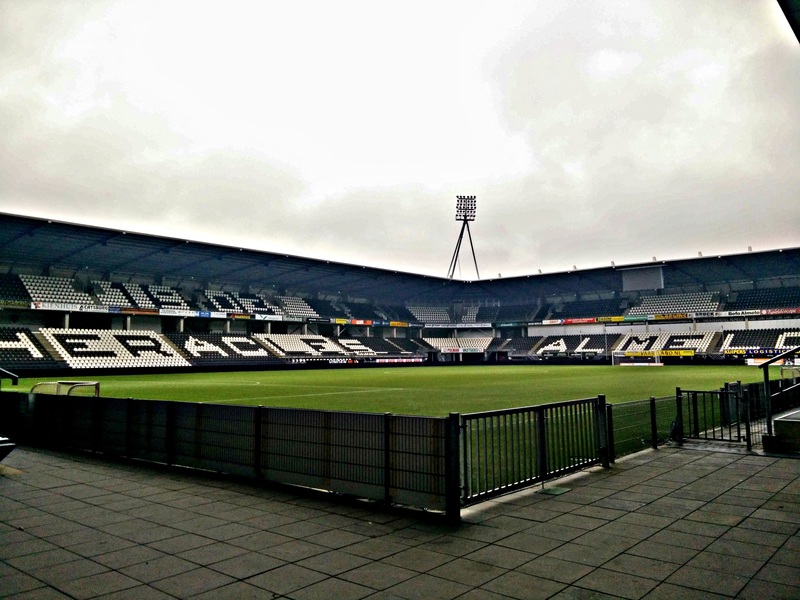 When I went from Zwolle to Enschede, I had plenty of time to visit a few grounds. 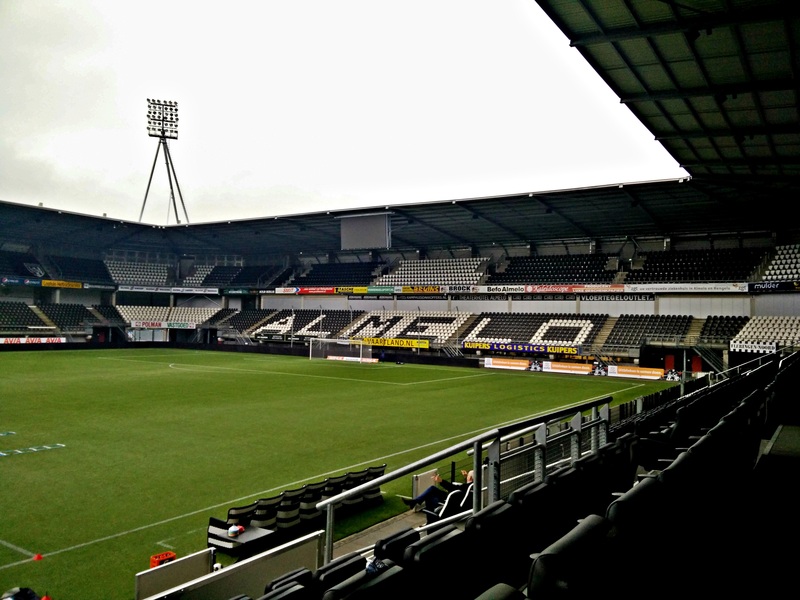 One of the grounds I could visit was the Polman Stadion of Heracles Almelo. 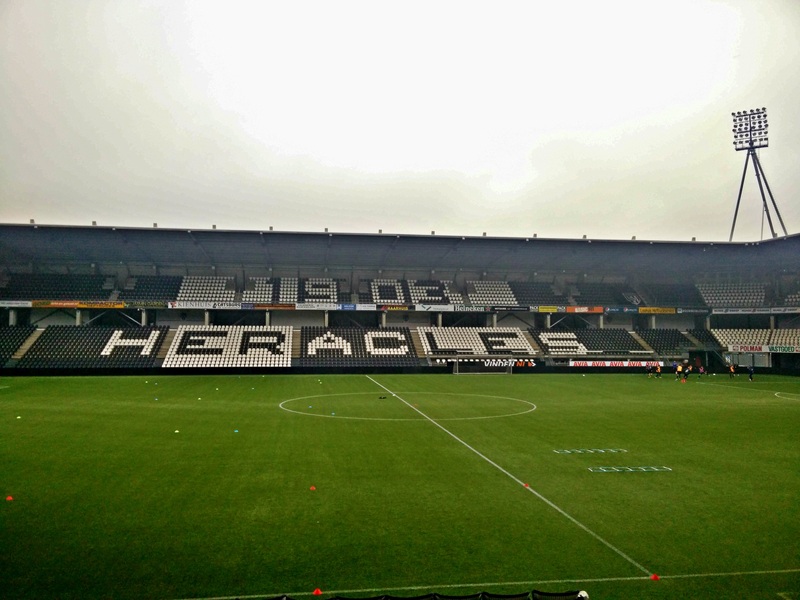 The club was founded in 1903 and was named after the Greek demigod Herakles (Hercules). 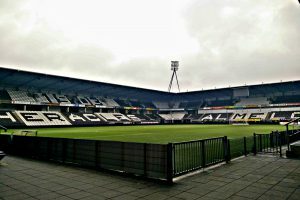 During their history, the club managed to become champions of the Netherlands twice (1927 and 1941). In 2012 they also managed to reach the Cup final, which they lost against PSV Eindhoven. 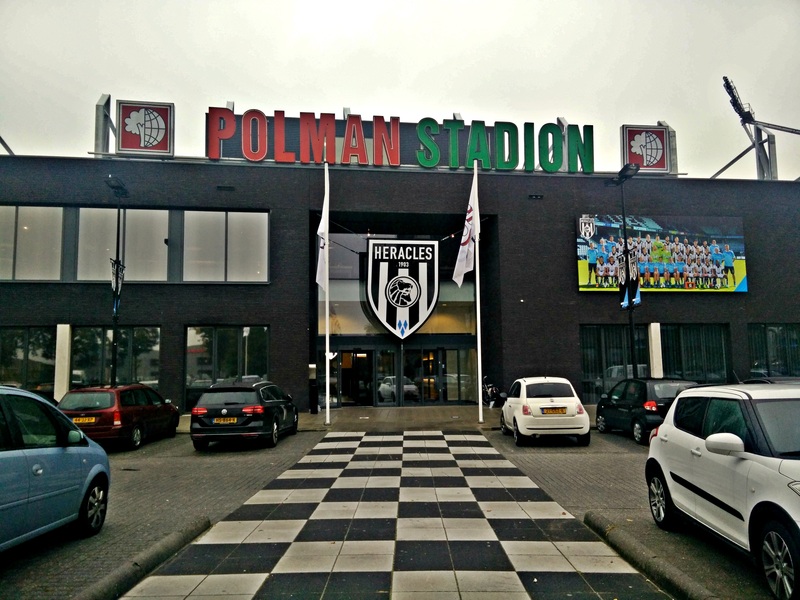 Heracles managed to reach the 6th position in the 2015/16 season which was a Europa League play-off position. 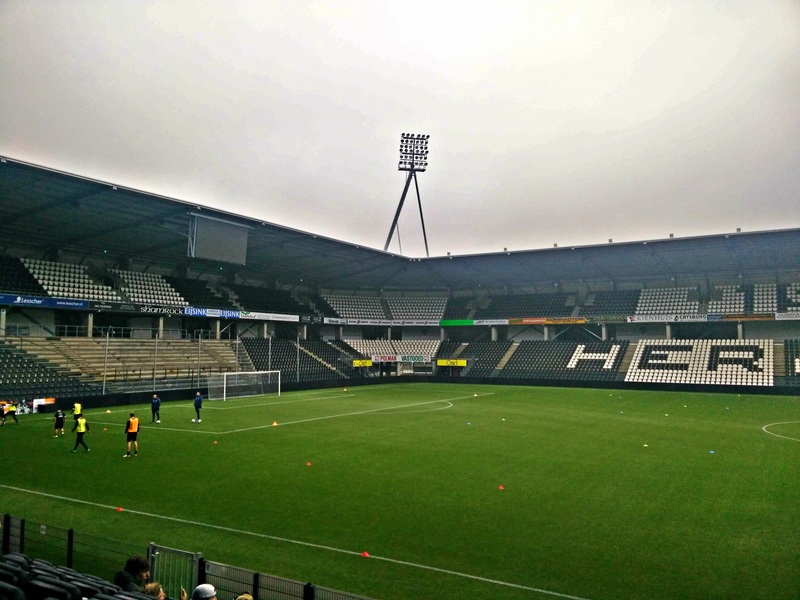 During these play-offs, the club defeated FC Groningen and FC Utrecht, which meant they would participate in the 2016/17 Europa League competition. Their participation didn't last long as they were eliminated in the 3th qualifying round by FC Arouca.